Does grandma drink too much? Learn what you can do...and why you have to do it. A recent Penn State University study on alcohol use and abuse amongst the elderly1 concluded that approximately half of all older alcoholics are never appropriately diagnosed, and as a result are never presented with appropriate alcohol abuse treatment options. Another independent study reported that as many as 1 in 6 seniors has an alcohol abuse problem; and if you do the math…that's a lot of people being left to suffer the pain of addiction. 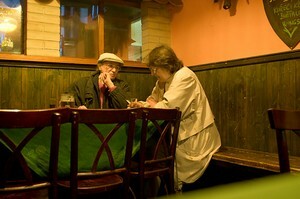 There are a number of reasons why elderly alcohol abuse is so underreported. Firstly, the elderly in general have less contact with the outside world, and as a result are less likely to get noticed for their problem drinking. The elderly are far less likely to drive drunk, get in a bar fight, or lose a job, and as such they can often drink to very harmful levels before anyone notices. Secondly, there is a seeming reluctance for health care professionals to make a diagnosis of alcohol abuse in the elderly. Often, alcohol may be involved in an emergency room visit, as a result of a fall or other injury, and although doctors and health professionals may suspect alcohol abuse, they are statistically very unlikely to diagnosis it as such. They may be uncomfortable with the diagnosis, or even be unsure on how the treatment is possible for an older adult. The third reason for the under diagnosis is both an unwillingness for older adults, particularity older women, to request treatment at their own behest, as well as a reluctance on the part of families or friends to intervene in a senior's drinking. The elderly seem far more concerned about the embarrassment of being labeled an alcoholic, and families seem to feel that there is little point in intervening…that it's too late for change…that it doesn't do much harm…that it's their only comfort left. The fact is though, although alcohol abuse is harmful at any age, it is never more harmful than on the elderly. The impact of alcohol related injuries is much more severe, the risk of harmful medication interactions is much greater, and the general physical effects of the alcohol are more debilitating. Alcohol ages and reduces the quality of life of elderly patients at an alarming rate. The ideation that the elderly are too set in their ways, or that it is too late to start treatment at this late stage in life, also seems to be myth. Older alcoholics are far more likely to attend their recommended treatment programs to their conclusion, and continue with after care programming for the full recommended duration. The successful abstinence rate for seniors is actually quite good. Older adults deserve the same access to treatment and quality of life as do younger adults, and any attempts to "spare" them from treatments actually does them a great disservice, and significantly reduces the quality of life of their golden years. If you are concerned about the drinking of an elderly relative or friend, do not attempt to spare them the embarrassment or difficulty of treatment; it is not a kindness that you do to them. If you care, take action, and improve their health, their cognitive functioning, and their ultimate lifespan as you get them the treatment they need, and the treatment they deserve. Alcohol is not a "comfort" and although life changes like the loss of a spouse, a troubling retirement or ill health, are not to be taken lightly, neither are they an appropriate excuse for self destructive behavior, at any age. Treatment for Alcoholism among Elderly Medicare Beneficiaries: Who is Treated and How Much Does Treatment Cost?